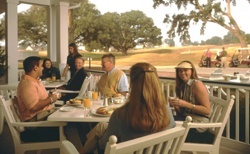 SouthWood Golf Club’s Restaurant offers a great meal with a view, an excellent retreat to grab a bite to eat or have a couple drinks after your round! On occasion we host special events and dinners that are open to everybody – check back often! Call 850.942.4653, ext 3 for more information. Holiday Brunches and Special Weekly/Monthly Events. Follow us on FACEBOOK for information on the upcoming events!